Elva Engineering Co. Ltd. was founded by Frank Nichols in 1955. The first series of cars, the Mk I, were based on a previous Nichols creation, the CSM, and were sold as bare rigid tubular chassis with a live rear axle. Some assembly required. In 1956 the Mk I/B was introduced and it came with an engine – a 1.1-liter Coventry Climax straight-four. 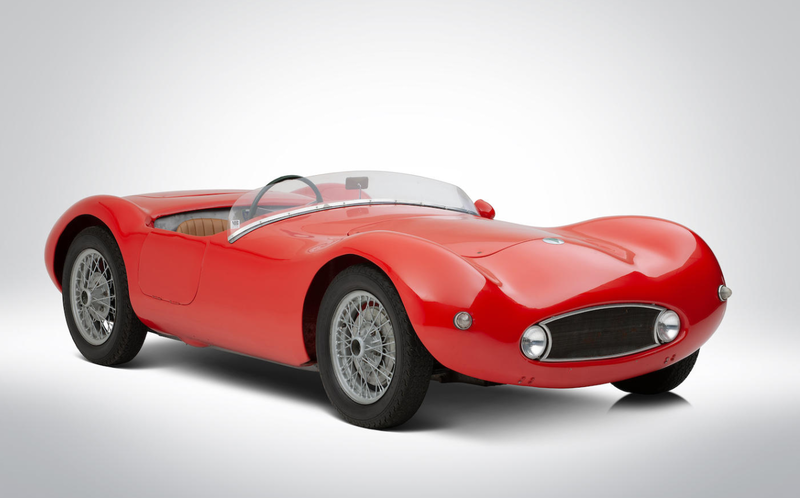 The streamlined fiberglass body was actually built by Falcon Shells and it’s estimated that only 14 were built. This example was road raced around the Midwest its first owner, seeing track time at the likes of Road America and more. This car was expertly restored in the early 2000s and still shows very well. It is thought to be the final Mk I/B built and is expected to bring between $160,000-$260,000 at auction. Click here for more info and here for more from this sale. This entry was posted in Uncategorized and tagged 1956, auctions, Bonhams, cars, classic cars, elva, mk i/b, race cars by classiccarweekly. Bookmark the permalink.